Ahhh, Tokyo. From the hectic streets of Shibuya to the quiet suburban laneways, there’s always something delicious to be consumed. Whether you’re looking to go to some of the world’s best restaurants or to just sample something a little different, you’re in the right place. We hit the streets of Tokyo to find you ten very special places to eat and drink. Behold, The Urban List guide to Tokyo. The teppanyaki at Ukai Tei isn’t your typical throw-food-at-you experience that leaves you with bits of rice and egg all over you. 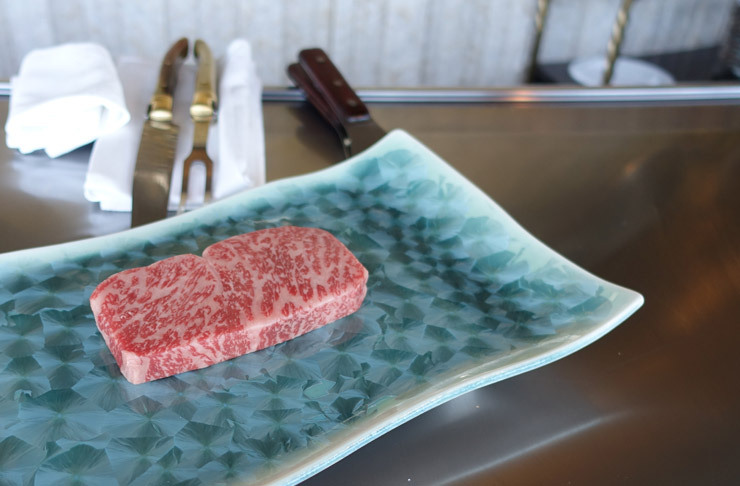 Specialising in premium steaks from Japan, watch your personal chef expertly create a multiple-course meal that includes fresh seafood and some of the best steak you’ll ever have. Oh, and when you finish your meal you are taken to a special dessert room (OMG) where you can eat as much dessert as you like from the dessert trolley that’s conveniently wheeled to your table. We like to call this paradise. Our tip: Make a reservation for lunch. It’s much cheaper than dinner and you’re treated to a wonderful view of Tokyo. When you think of Michelin Starred restaurants, you automatically think it’s going to be very expensive. Fortunately, this isn’t the case at Tamawarai in Jingumae (near Shibuya). A serving of soba at this one Michelin Star restaurant will set you back less than $20. Win! Accompanied by seasonal ingredients with your choice of hot or cold noodles, the soba is cut and boiled by the chef after you order, so it’s super fresh and delicious. Our tip: This place is a little hard to find so make sure you’ve got a map with you (Google Maps saved us multiple times). The restaurant looks like a nondescript white house, so keep an eye out or you’ll walk right by it! The Peak Lounge is an absolute must every time we go to Tokyo. 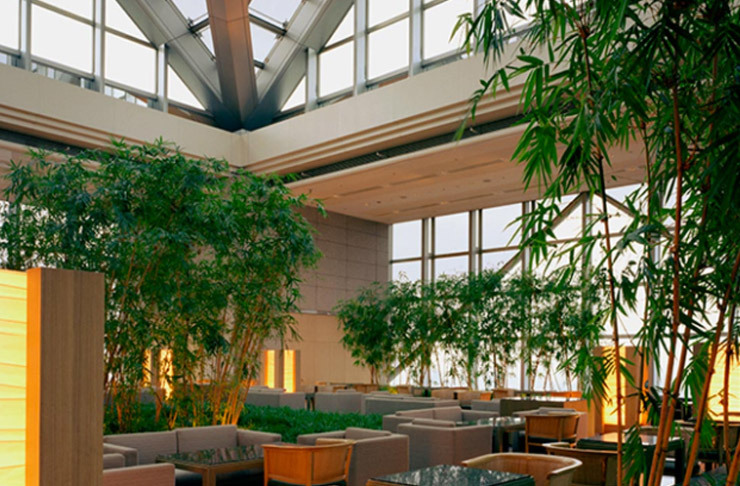 We’re not talking about the New York Bar that featured in Lost In Translation, we’re talking about the bar that’s a few floors below and features a very special happy hour (called Peak Of Joy) with views that are just as good as its more famous brother. For a mere ¥4,900 (about $51AUD), you’re able to enjoy all you can drink beer, wine and cocktails as well as a light meal. Good view, good drinks, and good food for around $50? We’re there. Our tip: Make a reservation so you don't miss out (they speak English). Also, try to get a seat by the window as it’s the best view (obvs). The food floors of Japanese department stores always border on sensory overload. With tonnes of fresh food including rows and rows of sashimi and seafood, top-notch wagyu beef, and the most perfect looking fruits you’ll come across, Tokyu Food Show is a bit of a food-lover’s paradise. Many of the stores offer samples, so go with an empty stomach and taste away! Our tip: Do a recon lap around the floor first and then make a selection to take away and eat. The bakeries make the cutest treats, so be sure to stop by and pick up a few for later. This place is no secret. Harajuku Gyoza Rou is popular with tourists and Tokyoites alike so don’t be surprised if you have to wait. The menu is small and simple—gyoza (pan-fried or boiled dumplings with/without garlic), bean sprouts with mince sauce and cucumber with miso sauce. 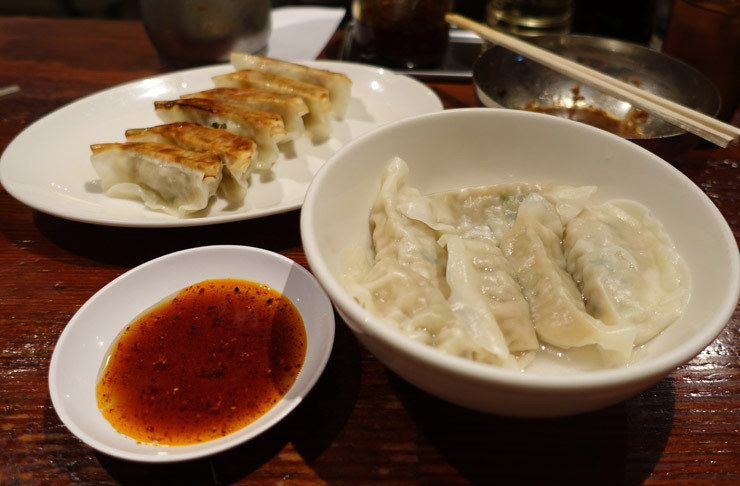 Try one of each of the gyoza and then go for another round… and another. It’s so cheap that you can get your fill of tasty, tasty gyoza and it won’t cost more than $20 (well, depending on how much you eat). Our tip: To avoid waiting, go in between typical meal times. Also, bring cash! This place doesn’t take credit cards and you don’t want to be stuck in an awkward situation. This tiny cocktail bar in Shibuya makes some of the best cocktails we’ve ever tasted. Owner and bartender, Shinobu Ishigaki is an award-winning bartender who creates intricate and beautiful cocktails using Japanese seasonal ingredients. Partake in one of the special monthly cocktails or simply ask for your favourite classic. Either way, your tastebuds are in good hands when Ishigaki is behind the bar. Our tip: Proper attire is requested at Ishino Hana, so that means no baseball caps or thongs. You didn’t think we’d run an article on where to eat and drink in Tokyo and not include a sushi restaurant, did you? Sushi Iwa is a Michelin Star restaurant in the affluent area of Ginza, but it’s not like the other Michelin Star sushi restaurants, which is what we love about this place. 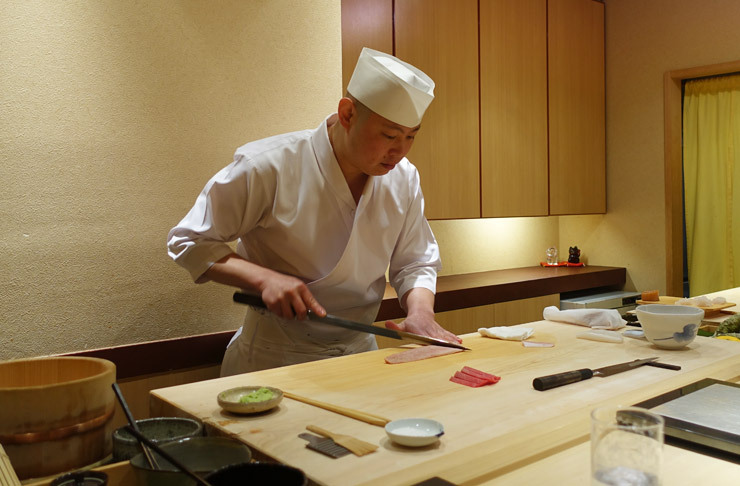 Owner-chef, Hisayoshi Iwa is relatively young (in his late 30s), yet prepares sushi with the skill of someone with many more years experience. His set menus also run much cheaper than the Jiros of the world, which means you’ll have a bit of spare cash leftover to either go nuts at karaoke (a must) or put towards another meal. Our tip: Get your hotel to book for you (they won’t take your reservation otherwise). 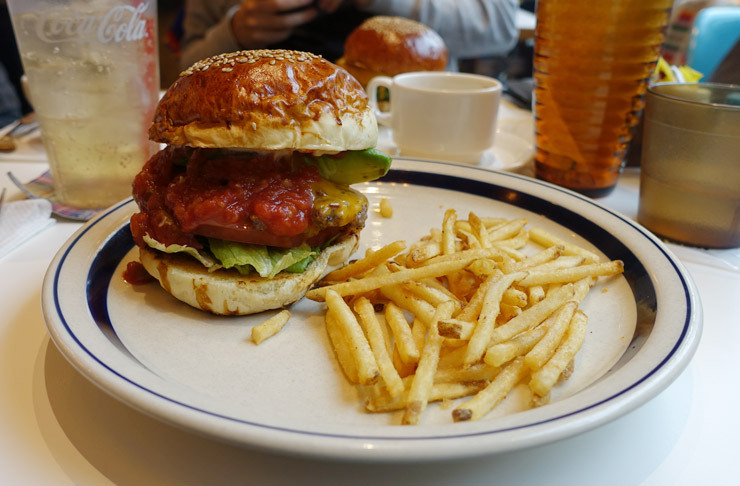 Believe it or not, Japan actually does AMAZING burgers. The Great Burger is one Tokyo place we always visit. With its Americana-themed interior and large range of burgers (avocado cheese burger, anyone?) we love the atmosphere and very Instagrammable burgers on offer. It ain’t called The Great Burger for nothing. Our tip: There are paper sleeves provided to slide your burger into—this helps to prevent the burger contents from dripping all over your clothes. We think this is genius and aren’t sure why we don’t have this in Australia. This coffee shop in the back streets of Omotesando is notoriously hard to find for first timers, but promises the reward of excellent coffee when you do find it. 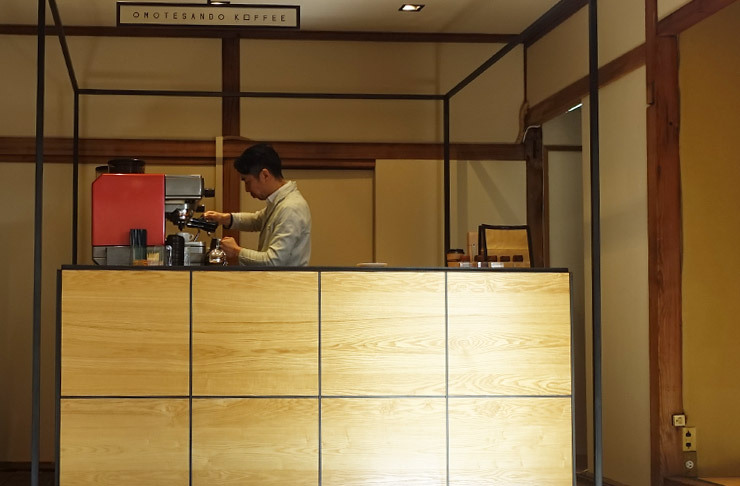 Set up in a traditional Japanese house with tatami mats and paper walls, the lone barista creates your coffee in a completely minimalist environment. Sit in the Japanese garden and watch him make your coffee while you feel quietly smug about finding one of the best coffee shops in Tokyo. Our tip: Even if you’re not hungry, order a baked custard—they’re sweet, creamy and all sorts of delicious. 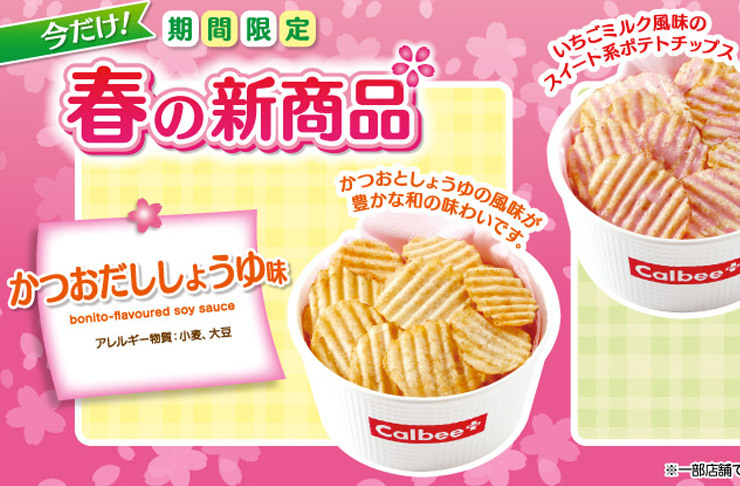 Japanese potato chip manufacturer, Calbee, have opened up a number of stores around Japan. This may not seem all that exciting, but hear us out. When you go to the store, you can see freshly fried potato chips made in front of your eyes. And what’s more, they are covered in all sorts of crazy toppings. Chocolate sauce? You got it. Soft serve? Sure thing! It’s kind of like a throwback to being a kid and dipping your French fries into ice cream. Oh, you still do that now? That’s okay, we won’t tell anyone. Our tip: The chips covered with chocolate sauce and soft serve is weird and amazing at the same time and is worth getting just to confuse your tastebuds.